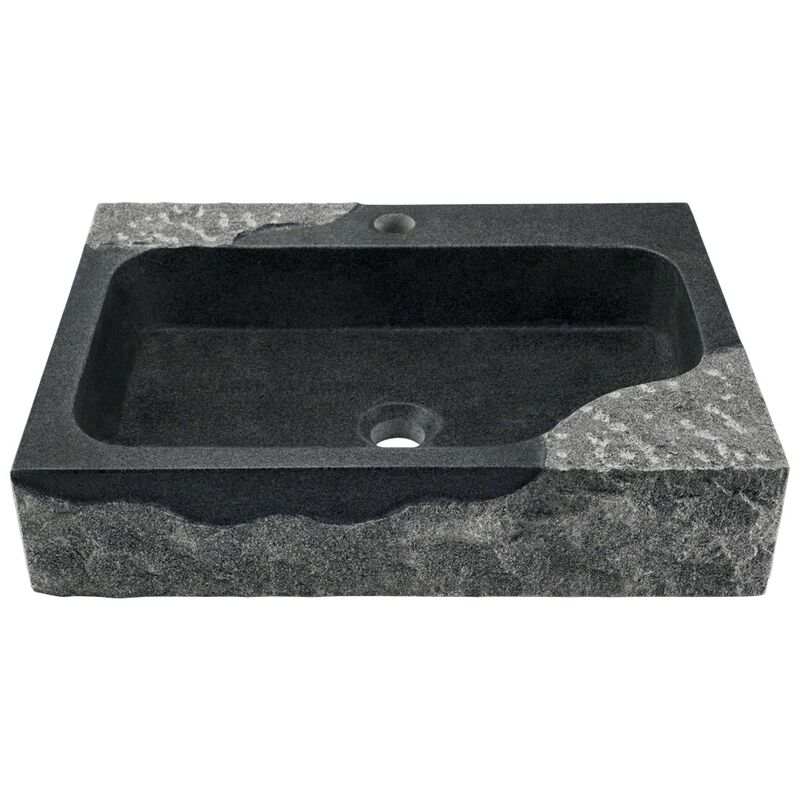 The P568 impala black granite vessel sink is chiseled from a large block of natural granite. This striking basin gives the illusion of being a sculpture in progress. The polished black, rounded-corner interior bowl is a shallow 3 1/2" deep and measures 19 1/4" x 11 1/2" with a centerset drain. Its smooth dark finish contrasts with the rough gray stone lingering on opposite corners and along random areas of the exterior. A pre-drilled hole along the back ridge provides perfect placement for a single-handle or matching waterfall-style vessel faucet. Overall the sink rises to a 4 3/4" height and measures 21 5/8" x 15 7/8". The bottom is flat with sides 1 1/4" thick. As always, our stone sinks are covered under our limited lifetime warranty.